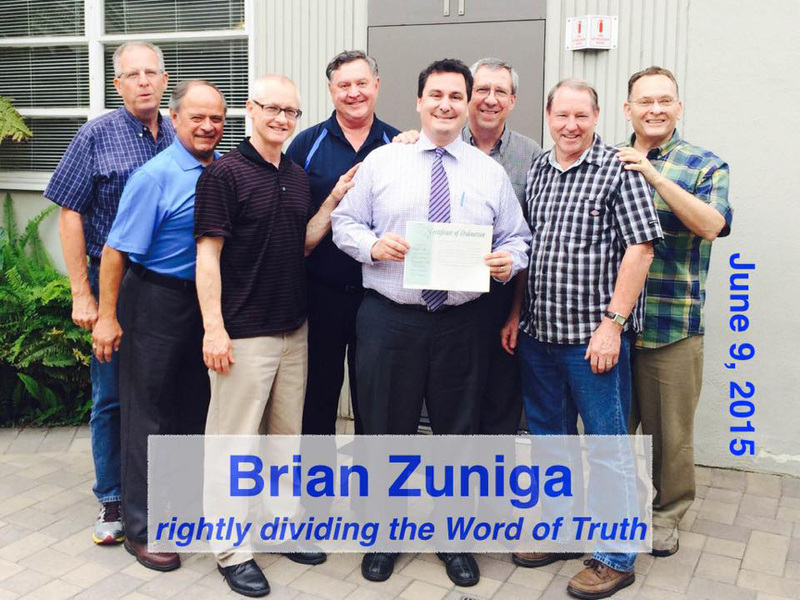 The pastors of the Southern California-Arizona District of Grace Brethren Churches congratulate Brian Zuniga on completing his ordination exam. The ministerial examining board of the Southern California-Arizona District of Grace Brethren Churches has recommended that Grace Church, Orange, Calif., ordain Brian Zuniga to the ministry. He recently completed his ordination exam (see photo at right). Brian grew up at Grace Orange and he was the Children and Family Pastor from 2010-2014. He currently serves as the associate pastor. He earned a Master of Divinity degree from The Master’s Seminary in 2010. He and his wife Angela were married in 2006 and have two children. Send Brian a note of congratulations at bzuniga@graceorange.org.